Keypad is an analog switching device which is generally available in matrix structure. It is used in many embedded system application for allowing the user to perform a necessary task. A matrix keypad is consists of an arrangement of switches connected in matrix format in rows and columns. 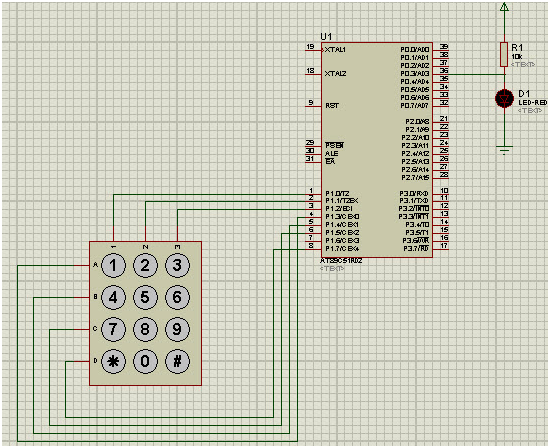 The rows and columns are connected with a microcontroller such that the rows of switches are connected to one pin and the columns of switches are connected to another pin of a microcontroller.